First Birthday Rag Dolls and Bears designed by Kate Finn are the perfect gift to commemorate your child’s special day! First Birthday Rag Dolls are another of Kate Finn’s iconic designs. 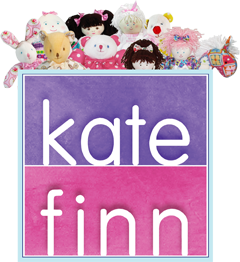 A babies First Birthday is a very special event for both family and friends, to commemorate the special day Kate Finn has a variety of rag dolls and bears with “First Birthday”embroidered on their clothing.